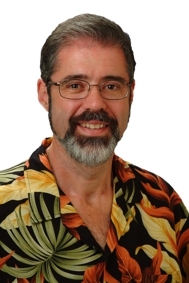 Hawaii Randy's Real Estate Opinions: How Lost Would You Be Without E-mail? How Lost Would You Be Without E-mail? Have you ever considered how dependant you are on e-mail? How would you get your business done if your e-mail account went down for a day or two or more? I am sure that is a scary thought for most of you who are reading this. Well this is day three and no relief in sight for me. After more calls to tech support than I can count and several reassurances it will be back up, I am still pulling my hair out. The scariest part is that no one who sends me an e-mail gets any kind of error message that it didn't go through. No e-mail for three days. During that time I signed two new listings and opened two new escrows. It has been challenging to contact everyone that I expect to get messages from. What about all the others that I have no way of knowing who they are? I pride myself on being responsive and this is killing me inside. Hopefully it will be up today. If not I may be sucking wind over the weekend. Those who complain about my lack of responsiveness will at least give me an opportunity to apologize and service them. The others will just go away and I may never know it happened. This has taught me how dependant I am on my e-mail. AAAAAAHHHHHH... That is scary! I have had that happen. But you don't know I'm commenting unless you look back at this. The e-mail notice won't get to you! Good luck and I am sure everyone will understand. It is amazing how dependent we are on these things that are supposed to actually free up time for us. Another thing that is bad is if I leave the cell phone behind... talk about being dependent on something. Randy, you obviously have an Internet connection. If you have a web-based mail server, can't you log on to the server? I prefer to download my email into Outlook on my hard drive, but I can log on to the server to read/send from there if I have to. Randy, for this reason I have a yahoo and gmail account. I do prefer my outlook but this stuff has become a way of life. Scary Thought!!! I have several accounts with hotmail, gmail & yahoo, in addition I have my company email. I should copy all my contacts to outlook Just In Case! Goodness. Don't you have web access to your mail server?? You should be able to go to any computer and pull webmail from the server even if the server won't send it to your e-mail client. Strange. But, I'd be pulling my hair out. I had 2 days when my electricity was out mid Feb.
Diana - It is frustrating at best. Michael - When I have left my cell phone behind, I felt like my arm was cut off. Lorrie - It is a web based e-mail server and it is not working. The webmail is not picking up or sending messages. Frank - I have the ability to check e-mail without Outlook. Unfortunately the account is dead. I have a business, I can not use yahoo. I need my domain name attached to the e-mail. Sara - I have no problem with my contacts, etc. I am just unable to receive messages sent to that account. Neal - I use very little snail mail compared to e-mail also. Lenn - The webmail doesn't work either. The account is down. Randy - as I mentioned in your other post, we've been without e-mail for 10 days and it's really a killer. Our old host switched over to bigger/better servers and the easy reconfigure wouldn't accept our mail from OnlyMyEmail which checks for spam. Today was the last straw when they finally answered an e-mail from days ago saying that Sorry - we don't handle your e-mail. If you'd like us to .... This, after they'd been handling it for years. Next! Signed up with goDaddy this afternoon for hosting. Sharon - I feel your pain. Sure hope your email gets up and running soon!! Now that is really and example of a "stressful" situation. No E-Mail..... Oh my gosh...... Say is isn't so..... last timeI went on a cruise.... I was missing my e-mail. Felt like I was suposed to be doing something..
Leslie - Stressful is an understatement. Roland - I bring my laptop and Sprint Card when traveling. On cruise I would go crazy, when the signal is lost. I would have a very rough time without my email. There was a similar question posed on Fox radio yesterday asking something similar, what would you give up if you had to, t.v., cell phone, internet, car, and a few others. The majority stated that they could not survive without internet and email! I can not imagine no email. Actually I am really leaning toward that blackberry...I need access. Bill - If everyone else had to give it up, we who grew up without it would have a huge advantage over most young people. Gary - I can not image managing the ton of e-mail I get through a PDA. I opted for the Sprint Card and my laptop instead. A big screen, a full keyboard and Outlook to Spam filter is the only way I could possibly manage it. Randy, I couldn't even imagine how you manage without email. I depend upon it as much as my cell phone. It's funny how we get dependent on things, isn't it. I wonder how we ever managed before. I have a air card and a laptop too. This way if my Internet goes down or I am somewhere and they don't have the Internet, then I can access it with my laptop and air-card. I think I responded to one of your posts with some questions about if you can re-post a blog properly and then get the points for them??? Vickie - I remember your question. I suggested just changing the settings in your post. It's amazing how dependent most of us are on email. Congrats to you for continuing to write contracts - even with no email! Darleen - I just hope I did not lose valuable clients because of not responding. I think I rely more on email than on my cell phone! It is the communication of choice for most of my clients. I hope yours is up and running soon. Norma - I hope it is up soon too. Email and cell phones are two important things in our lives these days. Gita - The PDA on my phone is as critical if not more for me. Without it I do not know where I am supposed to be from moment to moment. As my wife says, if a family appointment is not on the phone it doesn't exist. I have used GoDaddy for my email for several years and have not had a problem. Scott - I just put up a post praising them for their great customer service. None of my problems were because of anything they have done.